Let’s Talk About Skin Baby! It’s surprising how many misconceptions come to mind when you hear the word Collagen. Botox, injection, silicon – the list goes on! So let’s rewind and have a little skin lesson! The skin is like a mattress, our Collagen in the skin is like the padding and the Elastin is like the springs. When the mattress matures, the springs start to sag and thats when the padding becomes crumpled and is no longer smooth. Our skin responds in a similar way to this analogy with ageing. When skin ages it becomes less plump and smooth, this is due to Collagen depletion. This is when we begin to develop wrinkles and this means that the Elastin is losing it’s bounce. As well as maturing, our Collagen production can be reduced due to UV rays, poor diet, smoking and air pollution. Fortunately there are things we can do and products we can use that will promote Collagen production. You can start by embracing a Healthy Lifestyle and choose skincare products that don’t contain any nasties or chemicals. All of our Divine Woman skincare collection is Certified Organic and contains Key Active Ingredients that promote and support Collagen production. One of the most commonly asked questions we get here at The Divine Company is what product is the best for wrinkle and fine line reduction, luckily we have some amazing products to recommend! 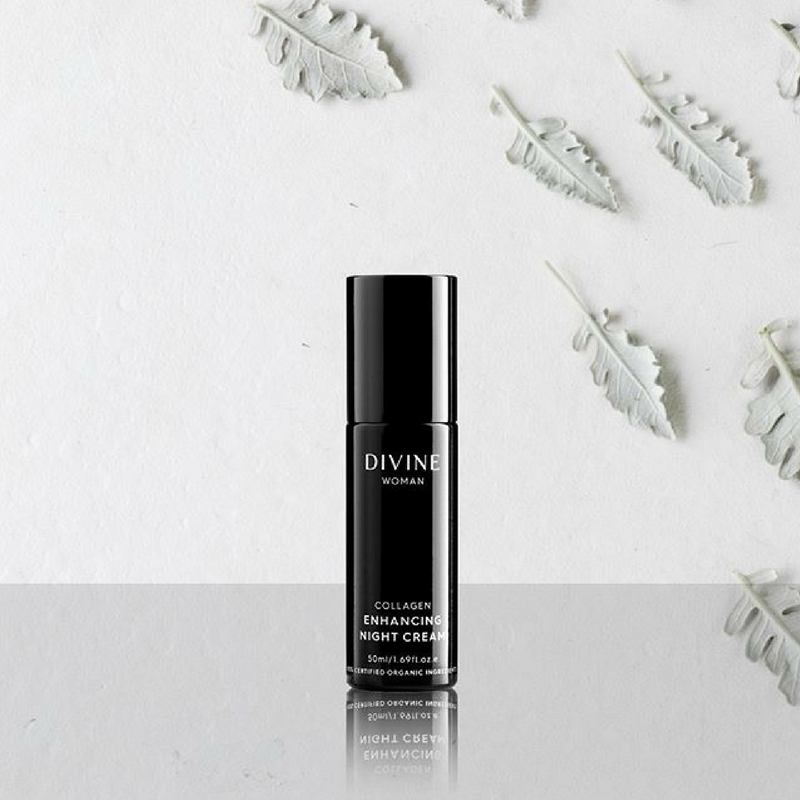 Our Divine Woman Age Defying Gel Serum is packed with powerful ingredients to revolutionise your skin care ritual. Collagen Synthesis is increased within the cells to to reduce the visible appearance of wrinkles and your skin is left feeling renewed, plump and fresh! 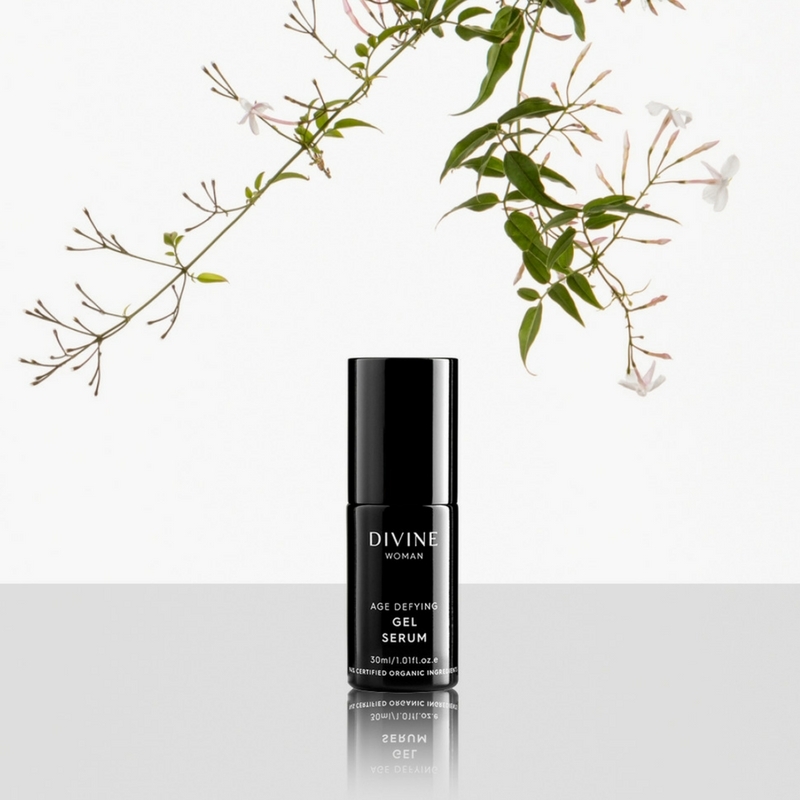 Our Divine Woman Collagen Enhancing Night Cream is another favourite for defying wrinkles and fine lines. This gem is packed with anti-oxidants that help to reactivate ageing stem cells to increase the skin renewal rate while also supporting Collagen production to reduce fine lines and wrinkles. Reduction of pigmentation is another added benefit of this amazing product. The Age Defying Gel Serum and the Collagen Enhancing Night Cream go hand in hand, use these two together before bed and wake up with vibrant and refreshed skin!